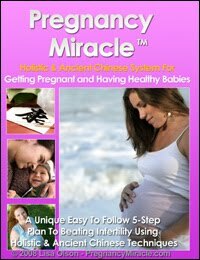 There are so many women who get naturally pregnant in their 43, 44, 45th year... and even over! Just yesterday, my husband told me about a sister of an acquaintance. She got pregnant for the first time at 48 years old, when she was thought to be in menopause. Now that baby is a wonderful girl 12 years old! That sound really good and she would now definitely a happy mom! I am 43yrs and trying to conceive. Had a pregnance in my early teens and i did an abortion. I had a miscarriage in my early 30s. I had fibroids removed at age 35yrs. I never tried conceive after al that coz i felt my body had just gone through alot. Now at 43yrs am crazy about wanting a baby, am currently taking fertil aid supplements. Is there hope for natural pregnancy for me? There are a few tests your dr could do that would help you better understand your fertility, and the condition of your ovaries, tubes and uterus. However, our bodies are marvelous things and often recover eventually from earlier assaults to our system. So I would think that until you know for a fact otherwise, there is always hope! I think I may be pregnant, 5weeks, but I'm too scared to do a test as I have had 3 miscarriages in the last 2 years. When should I visit my gynae? It is usually best to see your dr as soon as you suspect you are pregnant. Have you tried a home pregnancy test yet? To anonymous at 43 trying to get pregnant - from Jan 9 -YES it is more than possible! I got pregnant at 43 and gave birth to my first and only child at 44. I got pregnant naturally with no fertility treatments. My obgyn gave me very good advice: #1. Do not stress - when you stress - your body won't always release an egg - goes back to our prehistoric times. #2. Take Precare PRE-Conception vitamins- as these give you the right amount of vitamins & minerals for healthy conception. #3. order Ovuquick the best ovulation kit. You can get it over the counter but your pharmacist needs to order it as they don't keep them on the shelf. By the 9 day one as it is a better deal then the 5 day one. A good natural and safe supplement for fertility is Organic Maca. An excellent brand is Royal Maca for women. Lastly, do not listen to any non medical people giving you bleak odds! Good Luck!